The Webber displays a projects integrality and impact on different aspects on each beam. For the designers of the prototype “The Webber“, prototyping proved valuable for discussions on a strategic level. The complexity of the subject matter was being unraveled by making some of the topics explicit and tangible. The slogan of this tool/prototype is: “web your impact and impact your web“. 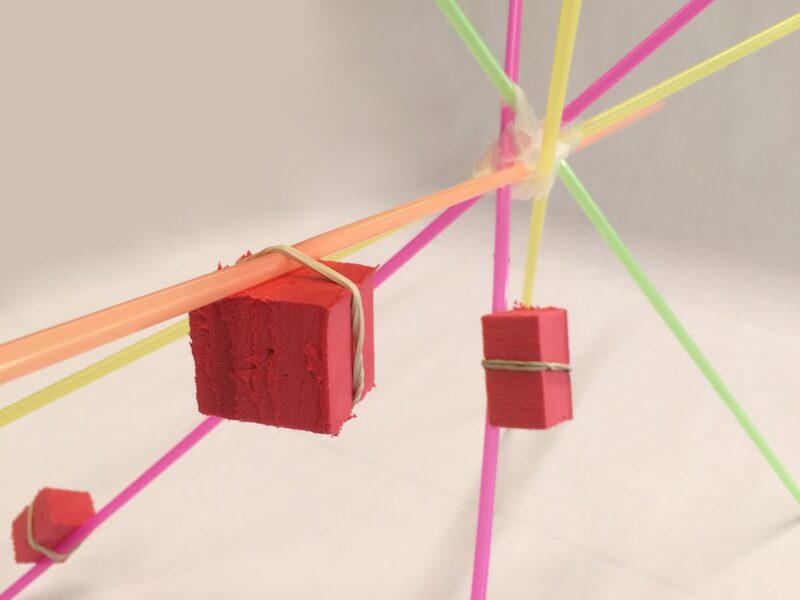 The prototype showed a three-dimensional web consisting of multiple, radial axes made by different, coloured straws represent the various dimensions and topics of a certain project. On these axes, moveable boxes/packages are placed, by their size representing the amount of users and participants involved in the particular project or initiative. The action radius of impact is referred to as the distance from centre of the axes.